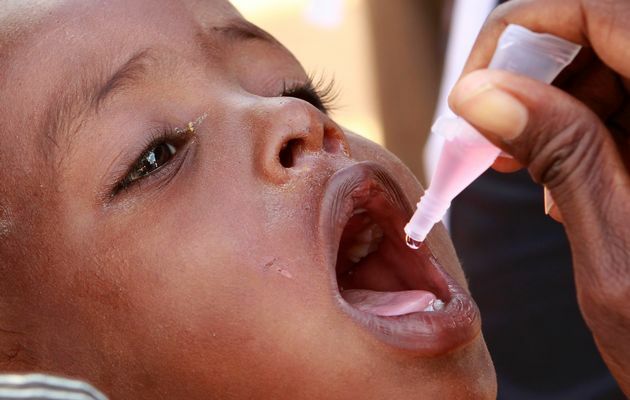 Polio in somali outbreak: The UN has warned of a severe outbreak of polio in Somalia, days after a medical charity pulled out of the country, citing insecurity. At least 105 cases of polio have been recorded in Somalia this year – almost half the number of cases around the world in 2012. The World Health Organization is trying to eradicate polio and the number of cases has fallen dramatically. Most of the Somali cases are in areas controlled by Islamist group al-Shabab. Polio is now only considered endemic in three countries – Afghanistan, Nigeria and Pakistan. 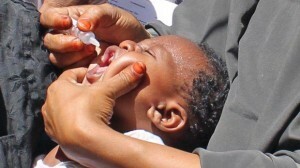 Somalia was declared polio-free six years ago and some four million people have been vaccinated. “It’s very worrying because it’s an explosive outbreak and of course polio is a disease that is slated for eradication,” said WHO spokesman Oliver Rosenbauer, according to the AP news agency. Another 10 cases have been recorded in north-eastern Kenya, where about half a million Somalis have fled. Just 223 cases of polio were recorded globally in 2012 – down from 350,000 in 1988. The UN humanitarian agency (Ocha) notes that it is “extremely challenging” to carry out vaccination work in Somalia. During the 2011 famine al-Shabab banned most international aid agencies from operating in areas they controlled in southern Somalia. Polio is highly infectious and is exacerbated by poor sanitation and a lack of clean water. It invades the nervous system, and can cause total paralysis in a matter of hours. On Wednesday, medical charity Medecins Sans Frontieres (MSF) said it was closing all its programmes in Somalia after 22 years working in the war-torn country. It said in a statement that the decision had been taken because of “extreme attacks on its staff”. The BBC’s international development correspondent Mark Doyle says in many parts of Somalia the charity is the only provider of health care ranging from basic medical supplies to major surgery. Some 18,000 African Union troops are in the country supporting the UN-backed government – the first one in more than two decades to be recognised by the US and the International Monetary Fund (IMF). The Islamist al-Shabab militant group no longer has bases in Mogadishu and has also been pushed out of other cities. But it remains in control of smaller towns and large swathes of the countryside in central and southern Somalia and continues to launch occasional suicide attacks.